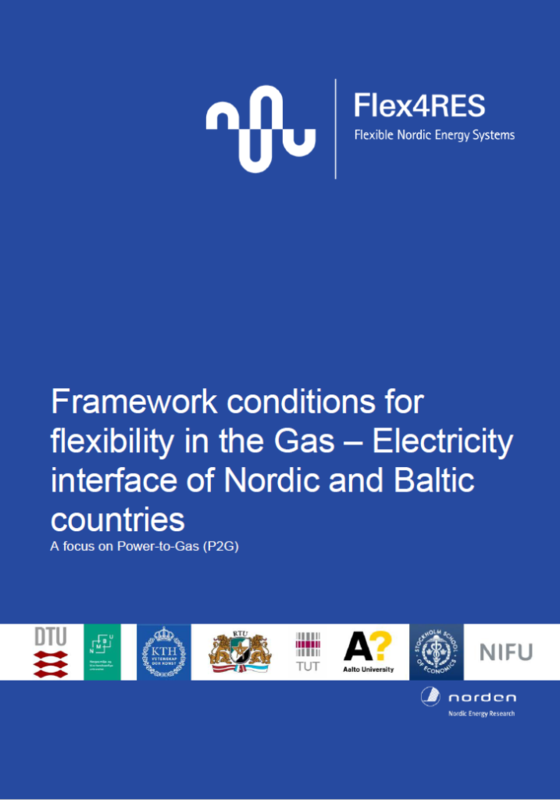 This report identifies framework conditions for flexibility from power-to-gas technology in the Nordic and Baltic countries. We find that the flexibility potential of power-to-gas applications are currently limited due to barriers such as grid tariff structure and PSO charges on electricity consumption. In some countries, there exist relatively favourable tax conditions for electrolysis, as electricity for this process is completely or partly exempted from taxation. These good tax conditions combined with low variable grid costs (Norway and Sweden) secures appropriate regulatory framework conditions for round-trip applications, i.e. power-to-gas combined with gas-to-power. However, the low electric efficiency combined with high marginal cost of electricity due to large variable grid tariffs and PSO charges (Denmark, Latvia and Lithuania) makes round-trip applications unfeasible even for large electricity price variations.